In his wonderful essay “The Smartest Man in the Morgue: Watchmen And ‘Twelve Notes On The Mystery Story'”, Chad Nevett discusses Raymond Chandler’s categories of a good murder mystery in respect to the comic book Watchmen. It was published in the book: Minutes To Midnight: Twelve Essays on Watchmen. I’d like to show that Batman’s The Long Halloween might as well be considered a murder mystery following the classical notes by Chandler. However, because I’m neither a literary scholar nor want to spoil reading for you, I’m going to do this with a simple list presenting the notes as given by Nevett and my own thoughts about them concerning this Batman story. Credible motivation: I’d say that yes, the murderer has a very credible motivation to kill. Methods of murder and detection must be technically sound: Again, definitely yes. Honest story: I don’t think any part of the mystery was unhonestly hidden or shaded by false emphasis. So, yes again. Realistic characters and settings: This is a problematic point. I think we can all agree that superhero comics might have a problem with being realistic. Some superheros have superhuman powers, some have divine ancestors. Batman, however, is just a traumatised millionaire with an oath to protect his hometown. Therefore I’d say yes to this note. Value beyond the mystery itself: It is a Batman story, so, definitely yes! Suspense: I was definitely not aware of who the Holiday killer was. I had my suspicions, but those were right where the story lead me to believe. So, another yes. Reasonable amount of dash: Tricky one. I’m not sure what that is going to mean. Essential simplicity of the solution: Yes. Solution baffles an intelligent reader: Yes. Solution seems inevitable once revealed: Yes. Mystery story must not try to do everything at once: Again, I’m not sure about this one. There are some subplots in the story, which might be too much to satisfy this one of Chandler’s notes. Criminal must face a punishment: Oh, this one is hard to talk about without spoilers. I’d say this one is a yes/no, depending on which kind of punishment (moral or judicial) you are looking at. Let’s keep Chandler’s addenda notes out of the equation. (You can do that yourself after reading The Long Halloween and Nevett’s essay, if you are so enclined.) 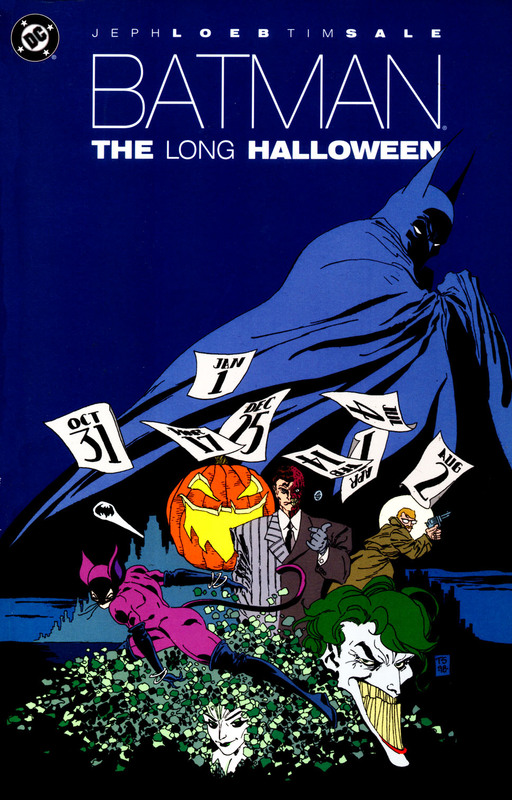 With 9/12, The Long Halloween might be considered a murder mystery by the grand old mystery master himself. Still, he might not give a damn about comics anyway, so better go and enjoy it yourself!